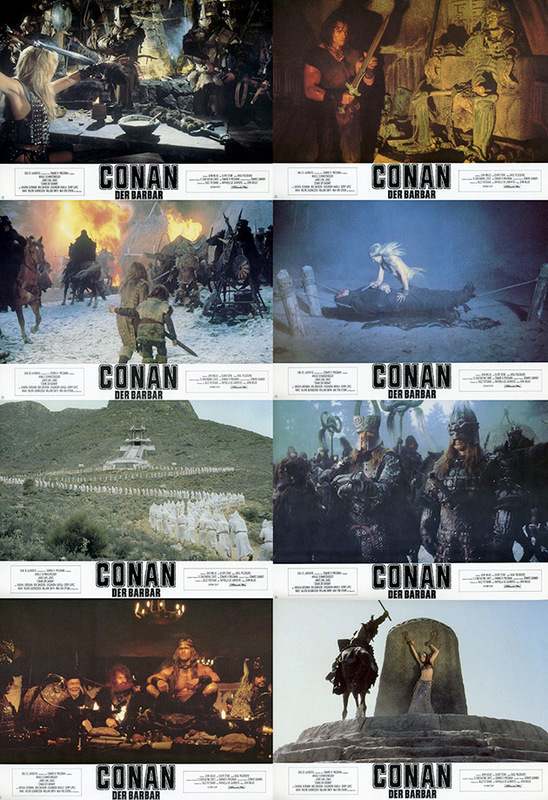 German lobby cards set of CONAN THE BARBARIAN: Great set with great pictures except for one big issue: no close-ups of Ahnuld. It should have had at least one card with Ahnuld's mug on it. But overall it's pretty good.